The main "bar" area of the Victoria Falls Lounge is located on a floating half-floor overlooking Boma, which is the Animal Kingdom Lodge's buffet restaurant. Seating for Victoria Falls Lounge… is all over the place. 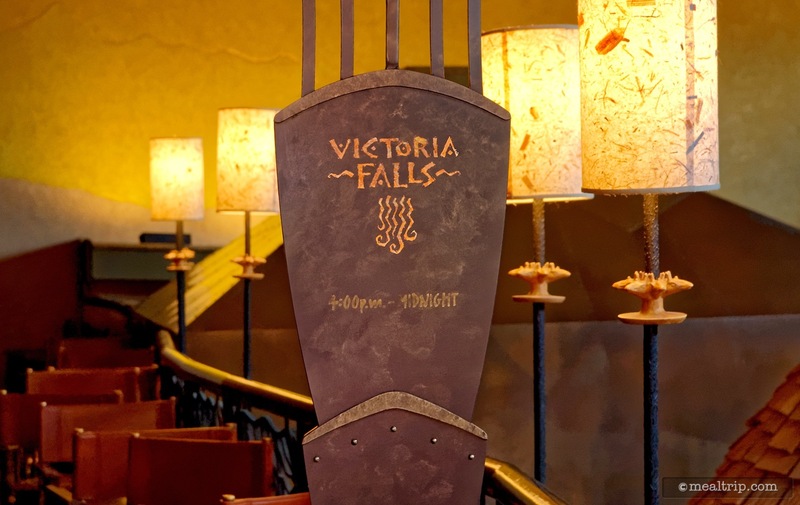 There are some small tables and bar stools located nearby the bar area itself, but there are also seating options in and around the lobby area and an indoor fire pit that's also considered part of Victoria Falls seating. Still to close to the actual bar? An outdoor fire pit wins the "furthest seating away from the main area" award as you have to climb and descend many stairs to get out there. Different areas have different ambiances of course. The main bar and seating area perched above Boma is quaint but not quite intimate, you can't really escape the din coming from below, however it's still very cool… sort of like the seating overlooking It's a Small World… but without the boats! 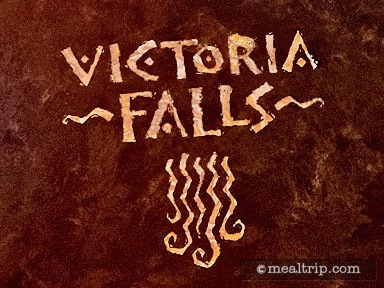 In addition to all the cocktails, beer, wine and specially beverages that the Victoria Falls Lounge has to offer, there is an "appetizers" menu that contains items that are a great introduction to the flavors that you will find in nearby restaurants. An African-inspired Tapas board, some Peri Peri Scallops, a great Breads and Spreads plate and even Tandoori-spiced Chicken Wings are available, and honestly, would make for a great small-plates meal!